There is no description of this rustic little shack on the card so I'm not sure where or what it is. It is very charming though in it's lonely little way. 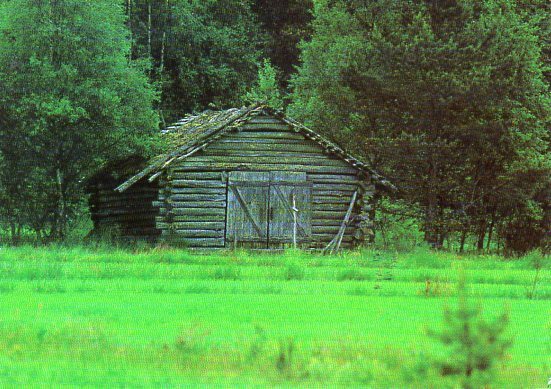 Those are typical barns in Finland, especially in country side. Usually people (farmers) store hay in those. Sometimes barns are used as storage for small machines or tools that farmers need in farming. 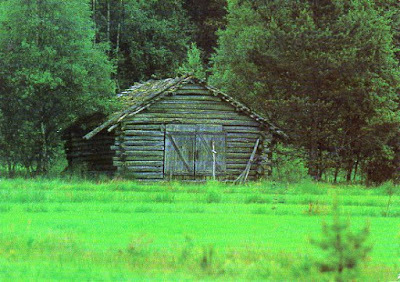 That image could be from anywhere in Finland between Helsinki and Utsjoki, because barns are very common here.